It is probably a good assumption at this point that if you are looking for guides on landscaping plants, that you probably already have a landscaping idea in mind and you are just looking for a few plants to put into it. Maybe this is your first garden and you have no idea what to look for and just need a little direction. We are going to focus on the latter possibility in this article because experienced gardeners already have a solid foundation to find what they want in the marketplace. As a new gardener looking for plants, the very first question most have to ask is "what type of plants am I looking for?". Are you interested in annuals, perennials, bulbs, herbs, trees, shrubs, etc. This is not a simple black or white question either. There are literally thousands of plants that you can choose from and all of them can be beautifully arranged. The real question you need to ask yourself is what you are truly looking for out of a garden. Rather than making a few assumptions, let's explore each type of plant that you are likely to find in most landscape plant guides. The first type of plants that you will find in most landscape plant guides are annuals and they are by far and large the most commonly found plants in gardens today. An annual is a plant that only survives the season in which it is planted and once it blooms and seeds, it dies off. Annuals generally do not return the following year however many varieties can reseed themselves in warmer climates or if properly mulched. It just so happens I have a rogue canna lily bulb that started to grow in a garden at the end of this past summer, where cannas haven't been planted in at least 5 years. Go figure that one out! 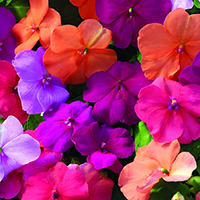 Annuals are the plant of choice if you are looking for mass blooms and vibrant colors. Because they only survive for a single growing cycle, these plants tend to put on a brilliant show with vibrant colors, before making their exit from the garden. Annuals also tend to be easy to grow in most gardens which makes them popular, however on the downside annuals must be replanted every year, making them a little bit more work intensive that some other plants. Now perennials on the other hand are a different matter entirely. 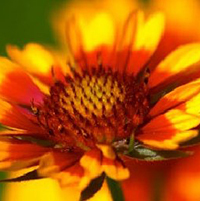 Whereas annuals have a very short life span, perennials can survive for years, some even decades with the proper care. Once a perennial is established you can expect it to return to you year after year and bloom each growing season unless something extraordinary happens to it like disease. Perennials are the plant of choice when you want to design a garden that will last for years with as little maintenance as possible. 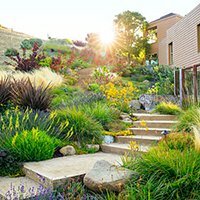 There are a lot of perennials in landscape plant guides out there with striking blooms and great foliage, but generally speaking they typically do not live up to the grandeur set forth by their annual cousins. Perennials tend to have more foliage than annuals and smaller blooms, although there are always exceptions to every rule. Perennials also seem to have a shorter bloom period than many annuals so you really have to plan your garden well if you want to ensure that you have something in bloom throughout the entire growing season. In my experience with both, I've found perennials to be much more forgiving than annuals are, making them a "plant em and forget em" type of plant. If you are looking for plants that cover a lot of ground, perennial ground covers are absolutely the way to go! These are plants that typically grow low to the ground and instead spread themselves outward like vines. Many of them will have brief blooming cycles but they are valued far more for their ability to decorate the floor level of a garden with thick, rich foliage. You should really consider adding a few of these gems to the edges of your garden as a transition. 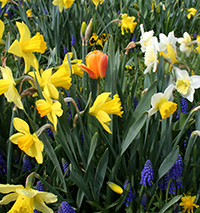 Bulb plants and flowers are an extremely popular favorite among growers and gardener, especially in the mid to late spring time and around mother's day. Most people are familiar with these types of plants as you will see them in every garden center and big box store, and even on street wide vendors around that memorable day. Bulbs are in fact perennials but what makes them a little different is the bulb itself contains the entire growth cycle of the plant, all in one small compact package. These are great options if you want to grow some plants in containers or window boxes as you can put them in front of a window that you might frequently look out. Or you could set a planter filled with bulbs on your porch to greet you when you come home from work. Most landscape plant guides you will find will have some selection of bulb plants in them. 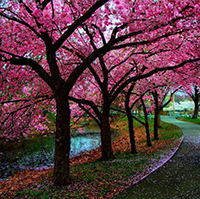 Beyond flowers, you will often find trees in many landscape plant guides. There are a lot of people who shy away from planting trees in their landscaping ideas because to be perfectly honest with you, trees are a long term commitment and this isn't something a lot of gardeners go for. It is understandable at some level as who wants to be locked into decades around a single plant, or group of plants. The trick is to keep your ideas fluid enough that you can change the garden around the tree as your tastes change, but without changing the tree itself. Landscaping shrubs are another, often under-utilized, landscaping plant. Shrubs and hedges make great borders and edging, and they can also be used as living walls and dividers to segregate one garden area from another, giving the viewer a sense that he or she is walking through different "rooms".